As I have gotten older and my childhood drifts further and further away I have realized that one of the greatest joys of adulthood is revisiting the things that you loved as a child. Disney, and more specifically Mickey Mouse, is one of those things. While at 22, Mickey doesn’t play a large role in my life anymore, I relish deeply the movies and cartoons that tickled and delighted me for years. Mickey Mouse was my first taste at what has become a life-long love for feel-good cinema. 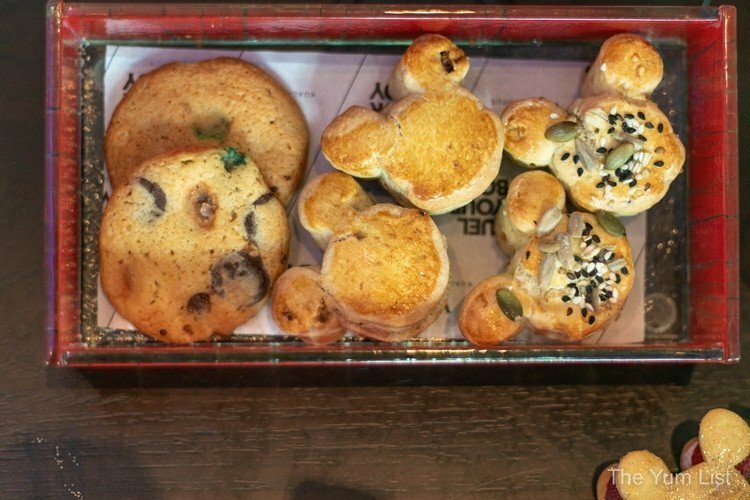 So when I heard the W Kuala Lumpur was hosting a Mickey Mouse themed afternoon tea in honour of Mickey turning 90 I was thrilled. 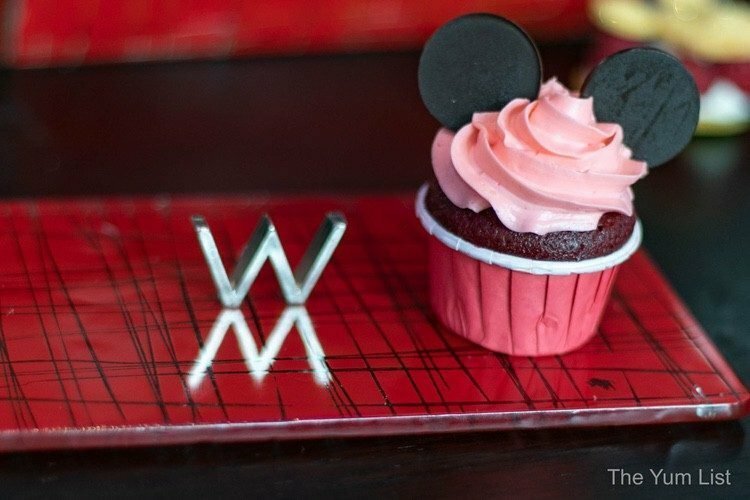 The Mickey Mouse high tea is served at Woobar in the sleek and oh-so-trendy W Kuala Lumpur. The tea is everything I hoped it would be and more. It is an effortless combination of chic millennial aesthetic – I sit on a purple chair that more closely resembled a throne – and an ode to the beloved character of our childhoods. The Woobar manages to be an upscale, highly-fashionable setting while not being intimidating. The purple colour scheme adds an element of whimsy, and the large windows and comfy couches also allow guests to feel at home. Monica and I are busy chatting away, (and admiring all the fashionable people strolling by), when the high tea set is delivered. I quite literally squeal! 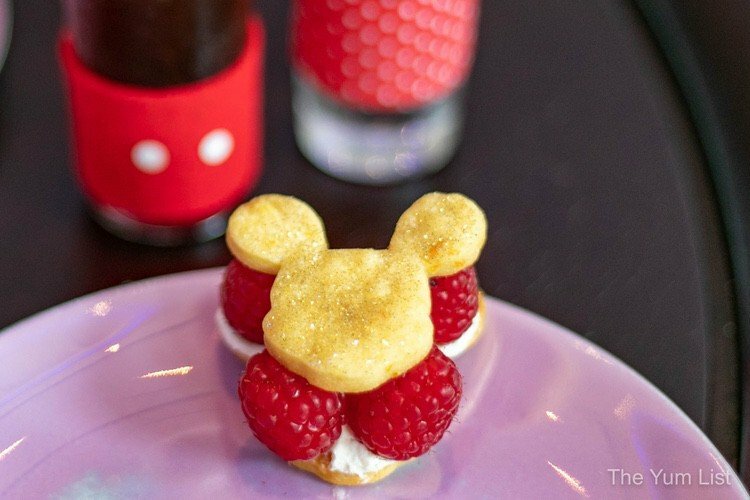 All the Mickey shaped foods are simply too cute for words. All I can think is if 8-year-old Maggie could see me right now at this Mickey Mouse tea party she would be SO proud. 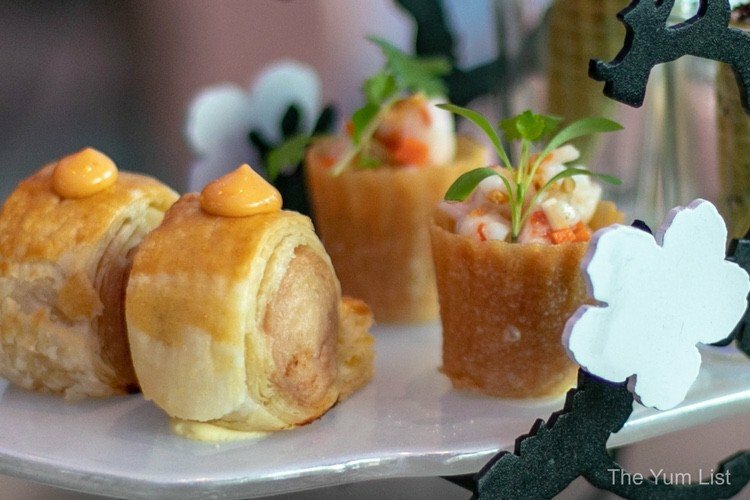 Wanting to save the desserts for last, we start with the savoury options including a mini hot dog sausage roll served with a Sriracha mayo for an adult twist. The sweet and sour shrimp salad pie tee is served in a delicate pastry cup and as I bite into it, the cup oozes tangy juices and the shrimp practically melts in your mouth. The green basil cone catches my eye. As I nibble away, I realize it’s filled with a creamy chevre mousse complete with olive liquorice. It is like a cheesy savoury ice cream cone and we are all big fans. By now our appetite is wet and I am ready to begin the full Mickey experience, starting first with the Mickey crostini. This mini sandwich is shaped in mouse ears and filled with salmon mousse and pickled cucumber, which gives it a perfect tang to compliment the sweet and creamy salmon. As I sip on my cappuccino, and Monica on her Moroccan mint tea, our eyes drift to the dessert. 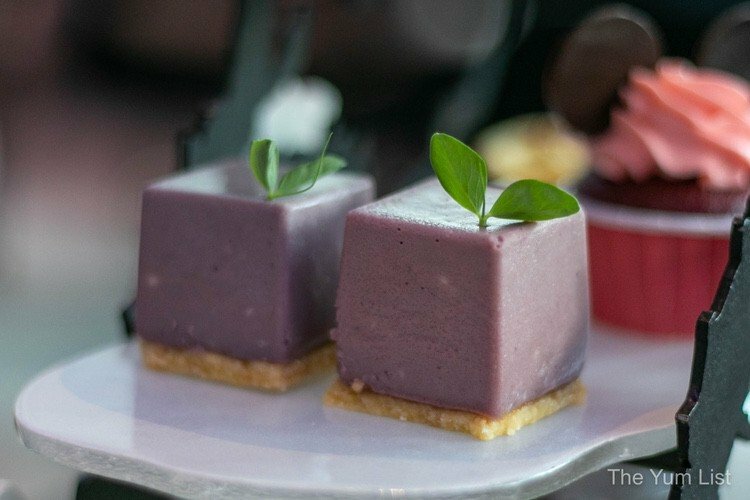 Complete with a purple elderberry cheese gateau, a gold dusted Mickey raspberry and mascarpone sable, and sparkly green homemade granny smith apple bonbons, this whimsically cartoon-esque set is a feast for the eyes, let alone the taste buds. The list of gourmet sweets does not end there. As I devour a red velvet cupcake (pictured as the header photo) that is moist to the centre, it is clear that the W Kuala Lumpur and their team have not sacrificed theme for quality. Complete with a lemon cheese icing and chocolate mini ears, I can’t help but start day-dreaming about when I can come back and have this cupcake again. 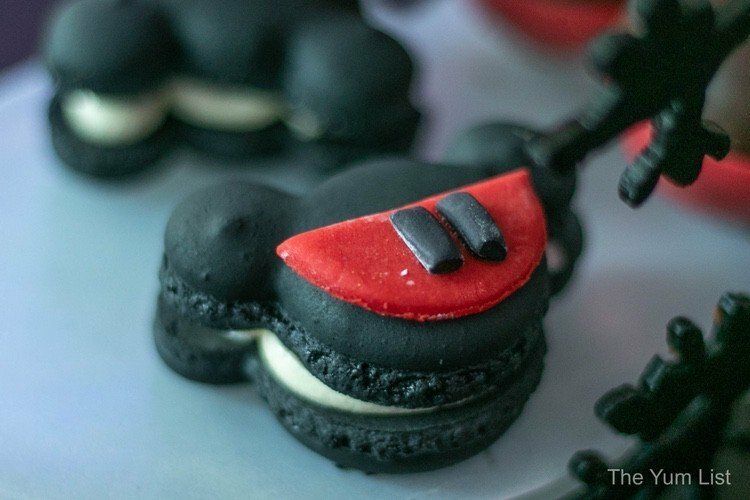 Perhaps the highlight of the set, at least for Monica our resident peanut butter lover, is the Mickey peanut butter royaltine macarons. Again the peanut butter is a nod to childhood but the macarons are made with an expertise one can only be impressed by. Sweet, crunchy on the outside and soft through the centre with a nutty finish, this is macaron to remember! No high tea is complete without a set of scones, and this one is no exception. Served in another box to the side of the tree are multigrain (that makes this whole set healthy right?) and raspberry scones, which are buttery and crumble in your mouth. The clotted cream and raspberry citrus jam are also both divine. Perhaps the biggest surprise of the afternoon was the jelly bean cookies also served alongside the scones. The cookies are made with real jelly beans that add a chewy finish to the otherwise soft cookie. Unique and delicious, we were all pleasantly surprised by this creative twist. The surprises did not end there, however, and in continuing with the theme of mixing childhood nostalgia with adult pleasures the set is served with two cocktails, served in shooter glasses complete with red and white ribbons. Inspired by the American notion of childhood summer days sipping cola, this cocktail is made with star anise liqueur, vodka, cherry liqueur and reduced cola pop. Sweet as pie, this is a good old Americana to round out the wonderfully playful, yet gourmet afternoon tea. As if afternoon tea were not enough to celebrate the nonagenarian’s life, an exhibition by two French artists, Alain Vaissiere and Kikayou, is also on display until mid-April. 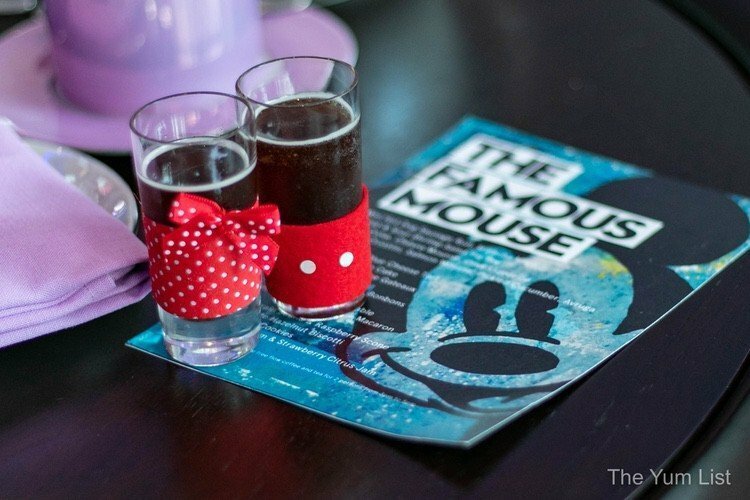 Eleven Mickey Mouse-inspired artworks showcase a kaleidoscope of colour, truly making the setting a special one in which to enjoy the Mickey Hi-Tea at W Kuala Lumpur. 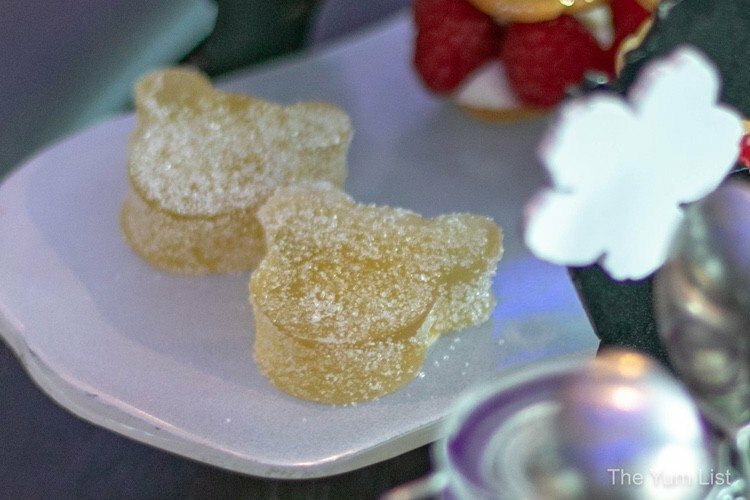 The Mickey Hi-Tea at W Kuala Lumpur is priced at RM168+ for two people on weekdays and RM188+ on the weekends. It is available from 3 pm – 5 pm at Woobar on level 8 from the 15th of March until the 14th of April, 2019. It can also be ordered as a vegetarian set. Love afternoon tea? 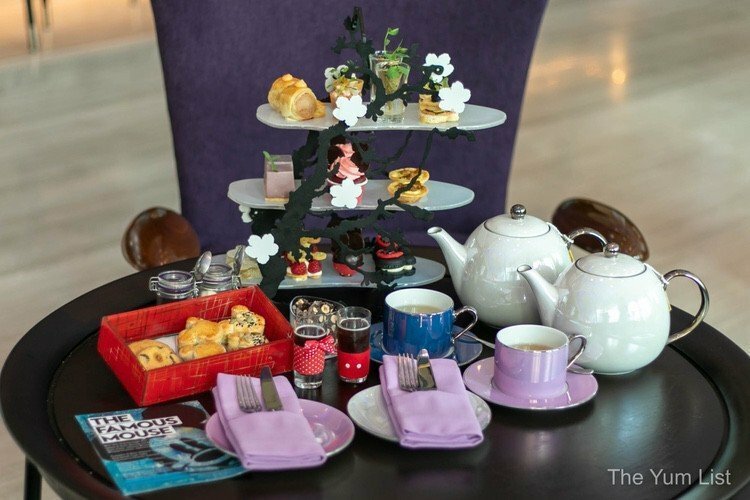 Find more afternoon teas in Kuala Lumpur here. So cute. I’ve my eyes on the savouries. Now scones seems to be quite the thing with tea. 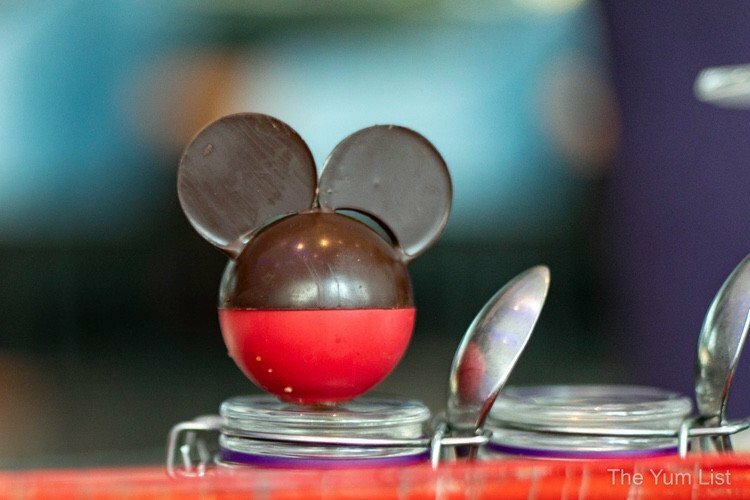 What a creative establishment with this creations modeled after Mickey! Sorry for my absence as my internet was down. Can’t wait till they make Hello Kitty high tea now.